I once heard that eyebrows are a sign of power. I’ll take it. 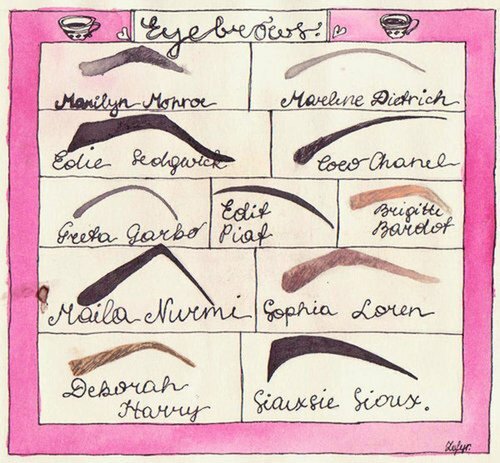 So, let’s talk eyebrows–bushy, thin, barely there, and all kinds of in between. This blog is a long one! Grab a seat, a healthy snack, even a glass of wine[[<<yes, please!]] and let’s get the deets on brows. And believe it or not, your brows play a vital role to the brilliance of your complexion. You know, that inner glow we so desperately need/want/desire/live for? Don’t be too quick to forget about our furry caterpillars or lack their of. 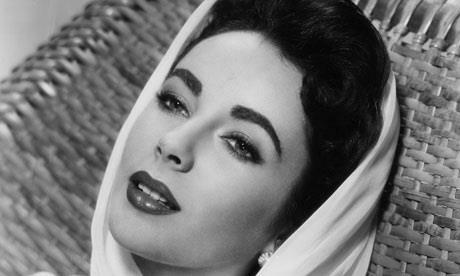 OK–this pic is a bit overdramatic, but it solidifies my point: your brows are everything. I am VERY particular about my brows and trust only one person to handle their business. NS: Hi my name is Nikki Saito. I have lived in San Diego for 15 years now, originally from Toronto Canada. I am a board certified esthetician and I have been shaping brows for almost 13 years & love every minute of it! With the help of Anastasia Of Beverly Hills training, eyebrow shaping has become my passion & something I truly believe I was meant to do! Every time I shape a persons brows I feel incredibly honored to have helped in the transformation of their already beautiful look! It is the most rewarding job I could have ever hoped for! 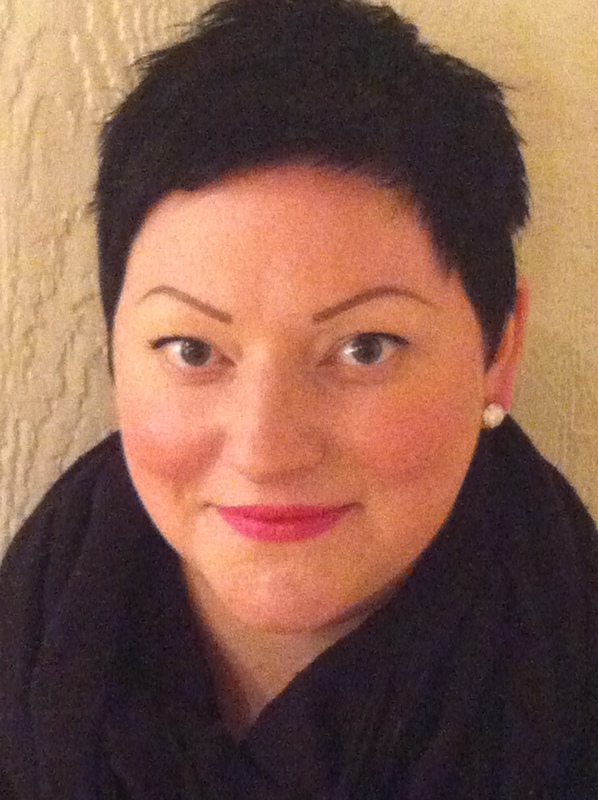 NS: Very simple – Eyebrows frame your face, I help shape the frame so you put your best face forward! +How do you know what shape is best for your face? NS: Every person is different and every face is unique. That’s what makes this so much fun. I look at your individual bone structure and take facial measurements to ensure your eyebrows fit you. No one wants eyebrows that look like they were put on with a marker, they should be natural and compliment your face. The best compliment I can have is when people say to my clients: “your eyebrows look great”! 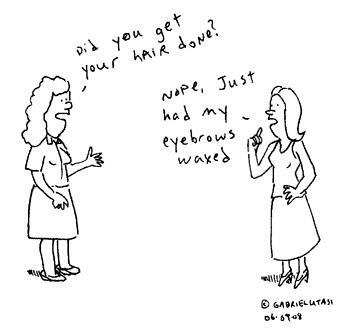 +How often should we make an appointment to have our brows groomed? NS: 4 to 6 weeks is the perfect amount of time depending on how fast your hair grows. Maintenance visits every 4 weeks will allow for just a brow clean up of unwanted strays without the shape being lost. +How do you feel about tweezing vs threading vs waxing? NS: My preference is waxing with tweezing to trim as necessary. It is almost impossible to remove all unwanted hair using Threading. With waxing all stray hair & peach fuzz is removed in one swipe, allowing for a smooth surface which is good for makeup application & a clean, precise look. +What are the most common brow mistakes that women make? NS: Over tweezing! I think it is safe the say that all off us at one point have butchered our brows! Whether it was in High School, an unfortunate Salon experience, or just an oops in general! The other mistake that is most common is not knowing the correct brow measurements for your face shape. Meaning tweezing your brows to short, taking to much from the middle, or the biggest oops, putting your arch in the wrong spot! +Are there any brow products or tools women should invest in? NS: Yes! A brow pencil to fill in any sparse spots in your brow. Unfortunately we aren’t all blessed with a full, thick, perfect brow. But we can all achieve that look with the right brow pencil. My favorite pencil is the Anastasia Brow Wiz. This magical pencil is so easy to use & come out so natural looking! This fine tipped pencil is retractable, allowing for precise lines (like hair strokes) every time! Including a brow brush on the end for easy blending. A must have! +Any brow trends you are loving right now? NS: Right now, all the craze is big, bushy full brows! Think Brooke Shields in Blue Lagoon! I love this look, it’s so natural & anyone can pull it off! Whether you have a naturally full brow or you fake it with a great brow pencil. A full brow is great for any makeup looks, natural, glam or bare faced. A full brow has a mind of its own, not needing much more then a daily swipe of clear brow gel to hold the look in place. +If you had to choose just one product for your brows, what would it be? NS: That is a hard call as there is so many amazing brow products out there, but Anastasia Clear Brow Gel is by far one of the best products out there! 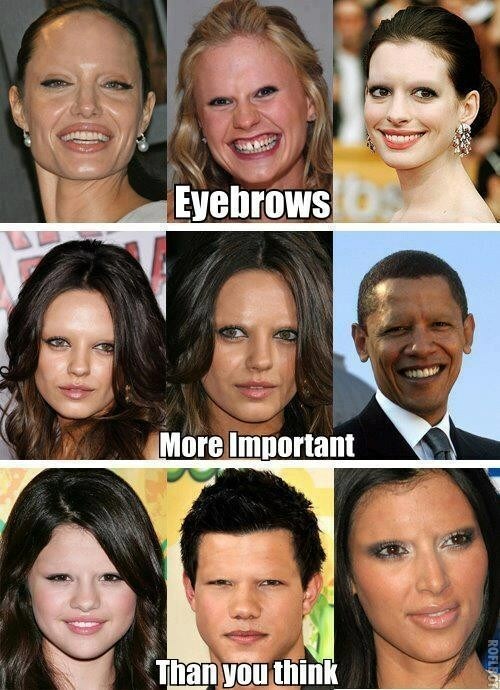 As we all know, brows have a mind of their own & never want to stay in place! Brow Gel will hold each hair in perfect place, almost like a hairspray! The best thing about it being clear is no one will know its there! Almost as though you have perfectly tame, shapely brows, precise brows no matter what! Isn’t Nikki amazing? And let me tell you, she knows her stuff. Even if you think you have no brows to work with, I promise you she can help. Nikki’s adorable room located inside the JC Penney Salon in Fashion Valley. Nikki actually only tweezes my brows because my skin is so sensitive to wax. Whatever your needs are, Nikki is there to listen and give you exactly what you want. 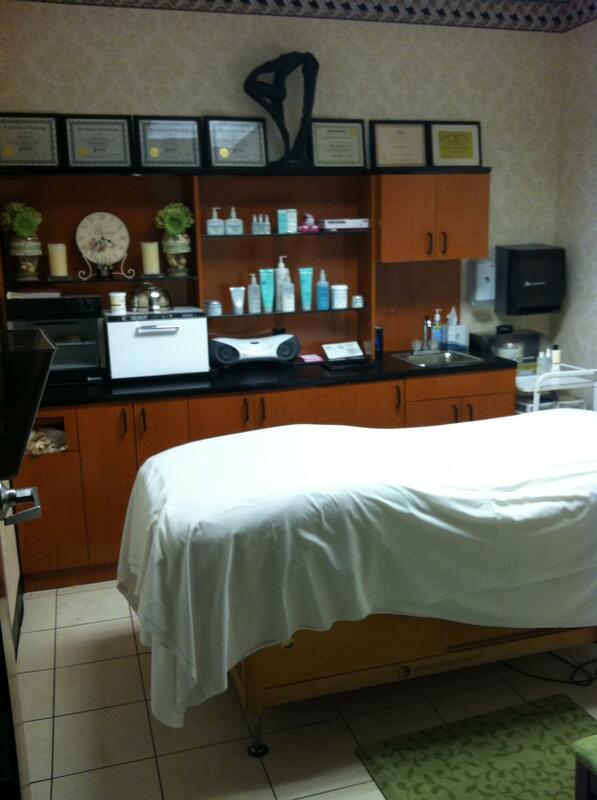 If you’re in the SD area and want to make an appointment you can contact Nikki at 619-297-2342. 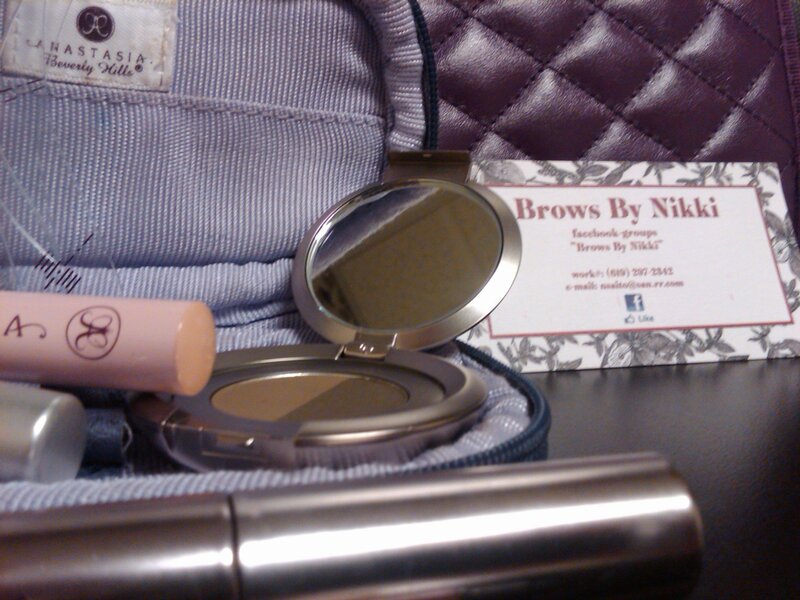 Be sure to like her ‘Brows By Nikki‘ Facebook page too! And while your at it, have you liked Loveleigh Beauty’s Facebook? Don’t be scared. Here’s to beautiful brows and a beautiful you!